The Plötzensee Memorial Center commemorating the victims of National Socialism is a site of quiet remembrance. From 1933 to 1945, nearly three thousand people were executed here who had been unjustly sentenced to death by the National Socialist judiciary. Today, the execution chamber is a memorial space. 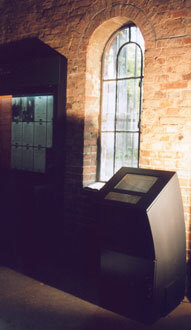 The exhibition also provides access to names and information about all those who were murdered in Plötzensee.